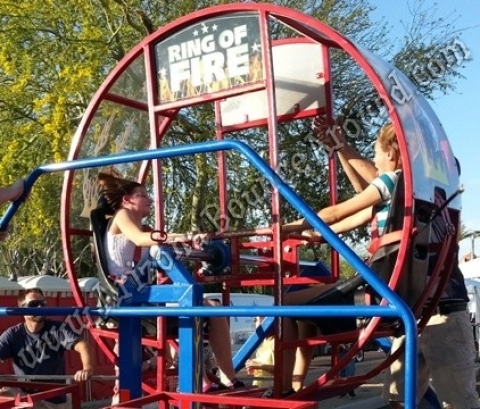 This Ring of Fire is a spinning carnival ride that sends 2 people spinning around in different directions. Our Ring of Fire is for all the thrill seekers out there trying to get the butterflies in their stomach! Great for a company picnic for employees or kids, school carnivals, company parties, festival and community events, and even birthday parties and teen night parties. 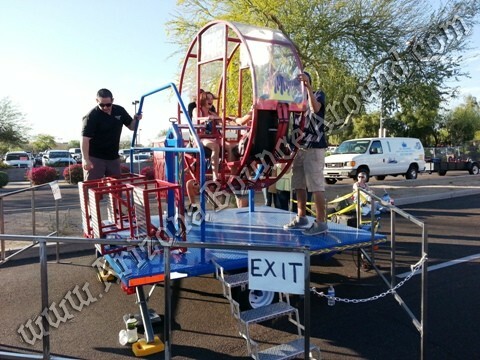 All of our carnival rides are state inspected and required in the state of Arizona. Dont rent carnival rides from anyone who does not carry a current state inspection on the carnival ride you want to rent. 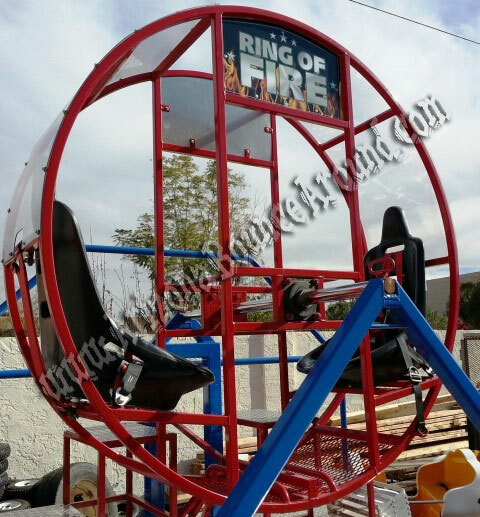 Our Ring of Fire carnival ride is state inspected and ready for use. This 2 seat spinning carnival ride requires no electricity to operate and features easy to climb steps and a professional safety harness to hold the passengers in the seat while it's being spun by one of our employees. This ride features 2 separate entrances / exits so you can have a line on each side. 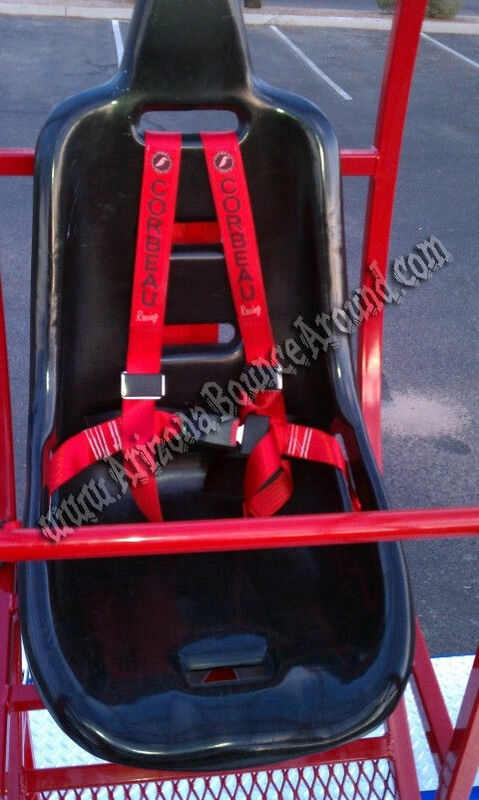 We will seat the riders and make sure they are properly fastened and then let the ride begin. 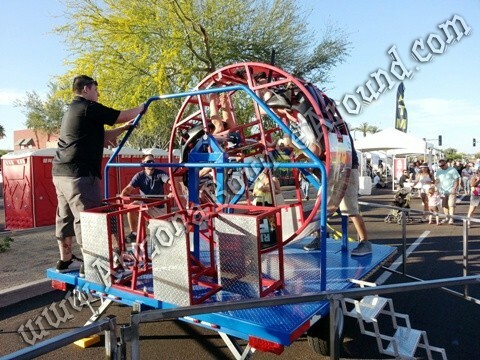 This is a brand new ride only available from Arizona Bounce Around. 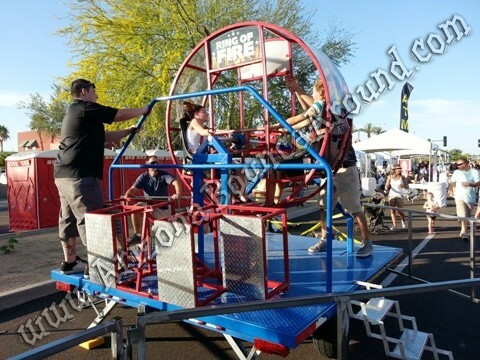 Arizona Bounce Around is a full service carnival ride superstore in Phoenix serving all of Arizona with carnival ride rentals. We rent carnival rides for kids and adults. We are the leader is school carnival ride rentals and would love to supply our carnival rides at your event.